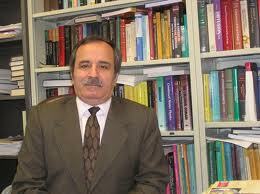 Muhammad Sahimi is Professor of Chemical Engineering & Materials Science and the NIOC Chair in Petroleum Engineering at the University of Southern California and an Iranian pawn. He just published an article about supposed lies from the west about Iran. this is while Mr. Sahimi lives in luxury in the sunny side of California and not in Tehran where any of his opinions would have been crushed by his regime and his daughters would have been beaten for the way they dress every day to school. I will not repeat his article but only say this; Does anyone really believe that Iran is not working towards a nuclear weapon? does anyone believe that women, gays and other ordinary people have real freedoms in Iran? if you believe these simple facts then you should believe Prof. Sahimi, if not, you should accept that Iran is a dark place, with a dark regime with generally smart people that long for freedom but are ruled harshly by ignorant mullahs. Its a state that sponsors terror attacks outside its borders and where the blind and wrong interpretation of religion prevails. The dark ages are upon this area of the world and its only growing in influence.